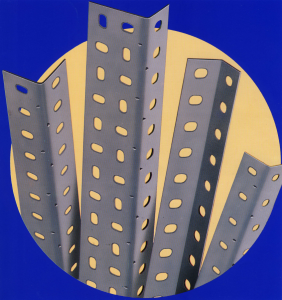 CMC offer a wide range of slotted angle products, from reclaimed angle to brand new materials. With a wide range of uses and applications, our reclaimed slotted angle shelving and slotted angle shelving in London could be the perfect solution for you. With slotted angle you can make a bench or tailor made to measure racks, ramps, cages or support systems, you can easily get the slotted angle material you need from The Shelving Centre. Ask about our cut to size service. With a wide range of items in stock, make sure that you check back with us regularly to find the right items for you – especially if you are looking for used slotted angle or reclaimed slotted angle, as our stock can change from day to day. In addition to supplying a wide range of shelving solutions, such as our longspan shelving or the popular slotted angle material, we can also help with your design and installation so that you can utilise your space to the optimum. 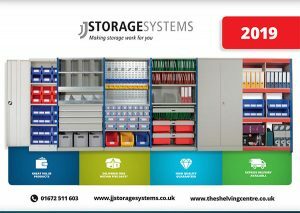 Our racking and shelving fitters have a wealth of experience when it comes to installing storage solutions, so you can be confident in your purchase of new or used slotted angle and installation from The Shelving Centre. If you would like more information about any of our shelving solutions, from pallet racking to our slotted angle racking in London, feel free to get in touch with us through the contact form below, or give us a call on 07860 573 272.